UT Health San Antonio's neurologists lead San Antonio’s only Comprehensive Stroke Center certified by The Joint Commission and the American Heart Association/American Stroke Association. We provide around-the-clock, expert care for patients and area emergency rooms. UT Health San Antonio's neurologists collaborate with other neuroscience experts to lead San Antonio’s only Comprehensive Stroke Center certified by The Joint Commission and the American Heart Association/American Stroke Association. We offer around-the-clock support for area emergency rooms and expert care for patients with cerebrovascular diseases such as aneurysms. Our team’s swift, skilled diagnosis, and their precision treatment planning help patients avoid life-threatening complications and recover quicker. Our neurologists evaluate and treat patients in the hospital and at our outpatient practice at the Medical Arts & Research Center. 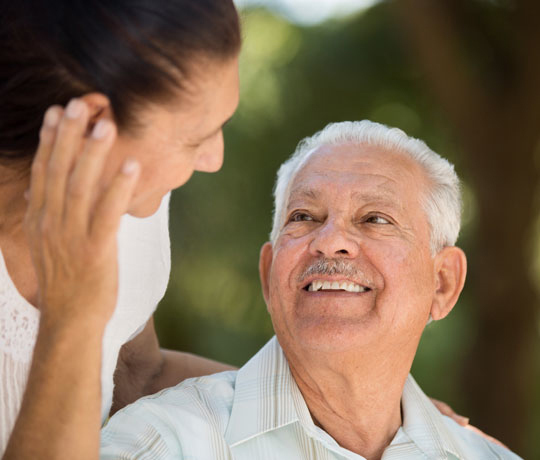 These settings allow us to utilize the most advanced technology for rapidly and accurately treating all types of cerebrovascular conditions including stroke. We provide patients with advanced imaging, testing, and electrodiagnostic technology. Using these modern diagnostics, our specialists create effective treatment plans that are tailored for each patient’s specific symptoms. Treatment could include medication, surgery, therapy or a combination of approaches. Our specialists believe in a multidisciplinary treatment approach. In order to develop the best care plan, we work with our other neuroscience specialists. In nonemergency situations, we consult and collaborate with our patient's other physicians and medical specialists. This type of comprehensive care allows our neurologists to create a treatment plan that is the least invasive and most effective. Effective, efficient stroke and cerebrovascular care is dependent upon the expertise and modern resources our neurologists offer. Patients, their loved ones, and their physicians rely on the decades of experience, research and modern technology our nationally recognized specialists provide. Call 210-450-9700 to schedule an appointment.